Register Now to get the Practical Knowledge you need to stand out in the HR field from the HR Experts! Our first exciting announcement is that JOBMASTER’s follow up service Mr.KOL is now ready to help you. Mr.KOL will be supporting you through your practical learning experience, throughout and after your workshop. He will be there with you every step of the way, answering your questions and giving you the knowledge you will need beyond the days of the workshop. 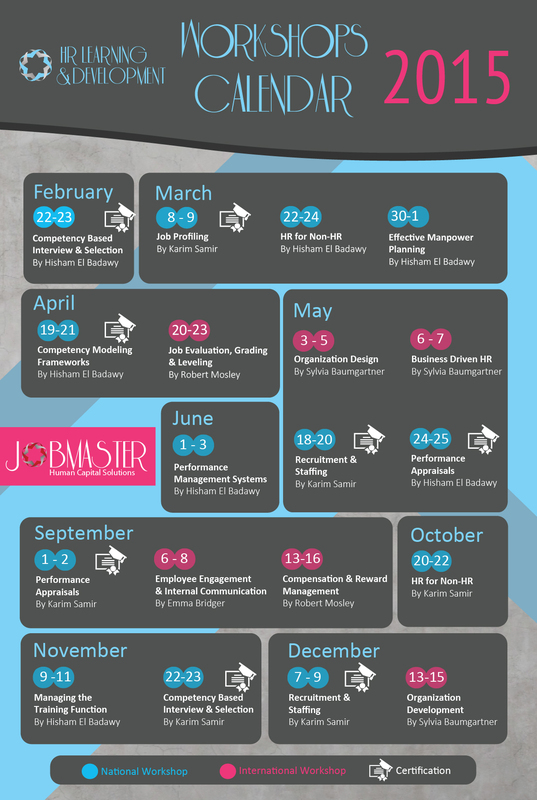 With JOBMASTER’s Certification you’ll get 5 Main Benefits..
We help our clients spot and groom future leaders. An international financing company based in KSA who values business sustainability and pays special attention to strategic long-term people development partnered with JOBMASTER to benefit from our Development Center services. JOBMASTER offered the client’s employees a full picture of their strengths, weaknesses and potential and generate comprehensive and in-depth feedback reports that are invaluable to the future development of these employees. JOBMASTER helped the client create his own Development Center by selecting the relevant competencies to measure, and choosing the best-fit exercises from a wide spectrum of alternatives, ranging from case studies, role-plays, to psychometric tests and simulations. Based on the results of the Development Center, each talent created an individual development plan together with the HR, a coach or their line manager. These development plans provided excellent basis for coaching and assignment planning. JOBMASTER also facilitated the continuous monitoring of the talents’ development progress so as to guarantee ROI.